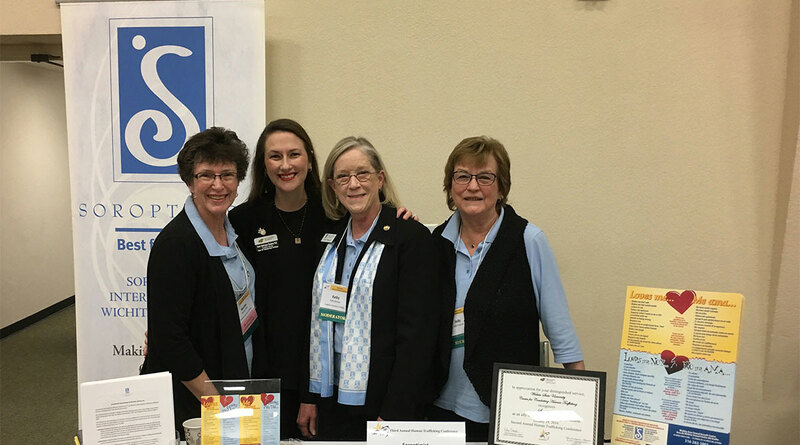 Bookmarks - Soroptimist International of Wichita, Kansas, Inc. 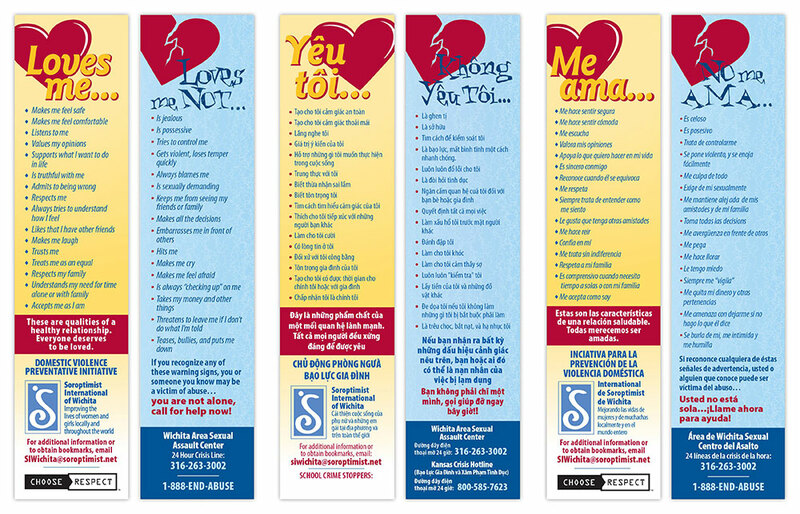 The “Loves Me, Loves Me Not” bookmarks were adapted by Soroptimist International Wichita members a few years ago. Available in English, Spanish, and Vietnamese, they are provided at no cost to schools, churches, domestic violence shelters, clinics, the Wichita Area Sexual Assault Center, groups working with victims of human trafficking, and others upon request. While most have been distributed locally, supplies have been sent as far away as Southgate Michigan and Staton Island, New York. Over 5,000 have been distributed per year for the last seven years.